Information on local aboriginal plant foods . The Strathbogie Ranges CMN is holding a Bush Tucker Field Day in partnership with the Taungurung Clan and Euroa Arboretum on 12th October 2013. A feature of the day will be a presentation by Dr Beth Gott . Anyone interested in the use and management of plants by the first inhabitants of South Eastern Australian should attend this session. 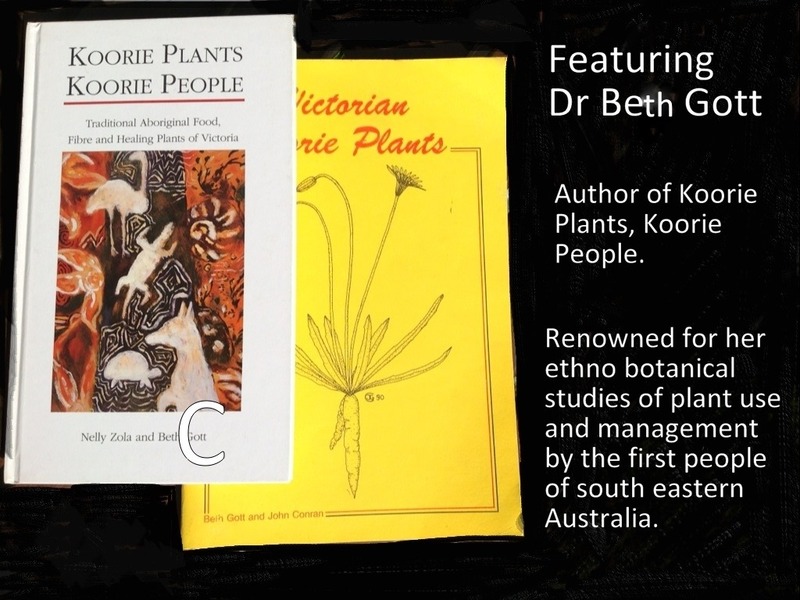 Beth will share her lifetime of research and study in the ethno botanical field with us from 10am @the Euroa Flour Mill. This event is family friendly and free. Previous Previous post: Farm dams for wildlife. Sorry I have to miss this day!